Uniquely situated on one of only four isthmuses, the University of Wisconsin’s lakefronts serve home to student organizations, sports teams, and most importantly, outlets to support health. Pressures of college take a toll on a body and mind; it is important that through college work-life balance is established. Maintaining an active lifestyle is essential to reducing stress. In Madison, spanning four miles of the northern lakefront on the University of Wisconsin’s campus, the Lakeshore Path is a perfect place to get out and take a break from school. My first semester I took chemistry, calculus, my Com A requirement, a freshman seminar all while I was adjusting to life away from home. Needless to stay, more than a few days I was close to crumbling under stress. 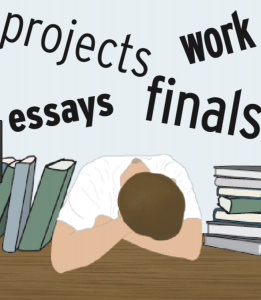 In fact, recent articles in New York Times, Huffington Post, and journal of Higher Education have all brought attention to the topic citing not only academic stresses of exams and aspirations, but also financial stresses in paying for college and maintaining a social life (1). Each of these factored into my stress. I recall fondly however, my long walks along the Lakeshore path. My muscles relaxed, it was easier to breathe, and for one minute my mind slowed. I know now that the walk and the fresh air were to thank. According to the Anxiety and Depression Association of America, scientists have found that regular exercise decreases overall levels of tension and improve sleep, all of which lower stress levels. The fresh air doesn’t hurt either. And, chemicals given off by plants are the center of attention for the latest stress-reduction research. According to research published in Journal of Biological Regulators & Homeostatic Agents, people who spend time walking around outside had remarkably lower stress levels. 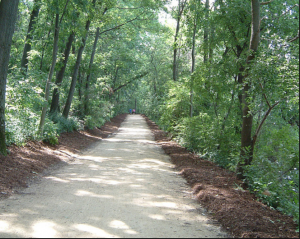 Now as you go find your routines here on campus, take time to explore the Lakeshore path. Appreciate all it offers, listen to the birds and watch the waves, and remember—whenever you’re stressed, just go take a hike.